According to Irina Gerashchenko, partner-countries are forgetting about their obligations with regard to security guarantees and the protection of human rights in the Crimea and the Donbas. 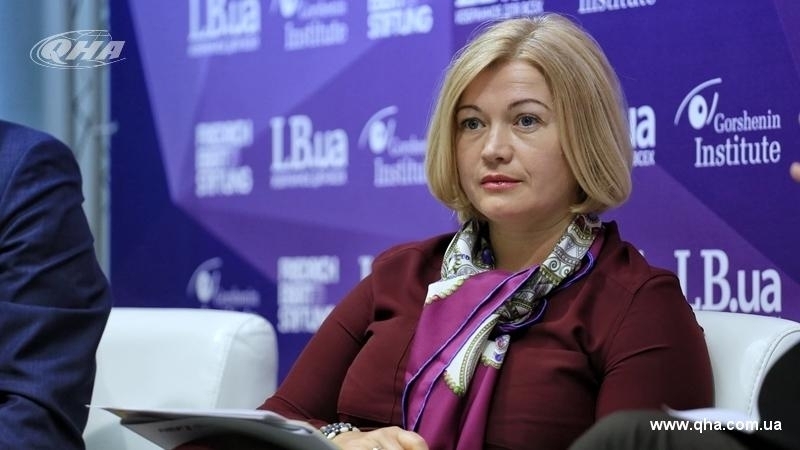 Foreign partners of Ukraine should react more actively to human rights violations in the occupied Crimea, according to Irina Gerashchenko, the First Vice-Speaker of the Verkhovna Rada, the representative of Ukraine in the Humanitarian subgroup of the Trilateral Contact Group in Minsk. She stated that, partner-countries talk a lot about fighting corruption, strengthening democratic processes, transparency of the economy, reasonable staff policy in Ukraine, but they forget to talk about their obligations with regard to security guarantees and protection of human rights in the Crimea and the Donbas. 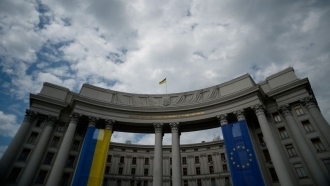 “Often, our European partners make loud statements in defense of Ukrainian public organizations (this is their full right, especially as they support these organizations), but they are silent, as if their mouths are buttoned, regarding arrests in the Crimea, severe sentences of the Russian occupation authorities against Ukrainians or Crimean Tatars. Have you heard any statements of foreign governments on the trials of Baluh or Chiyhoz? I haven’t. But some foreign officials advise us to solve the problem of Donbas first, and then the Crimea ...” Gerashchenko wrote. She also noted that Ukrainian politicians do not allow the EU and the US to forget that the Crimea and the Donbas are Ukrainian territories and do not allow removing this issue from the international agenda. Earlier, QHA reported that today, August 8, the judicial debate on the case of Ahtem Chiyhoz continues, during which the "court" will hear the defense. Previously, on August 1, after 150 meetings, the "Supreme Court of the Crimea" completed the judicial investigation in the case against Akhtem Chiygoz. At a court hearing on August 7, the Prosecutor of the Kremlin-controlled "Supreme Court of the Crimea" Anastasia Supryaga requested 8 years of imprisonment for Akhtem Chyigoz. Akhtem Chiygoz was detained in January 2015 in the Crimea, on accusations of organizing and participating in mass riots on February 26, 2014. Then, outside the building of the Supreme Council of Crimea, a rally was held in support of the territorial integrity of Ukraine. He has been detained for more than two years in the remand prison. The Chiygoz case is considered by the court within the framework of a falsified "case of February 26".